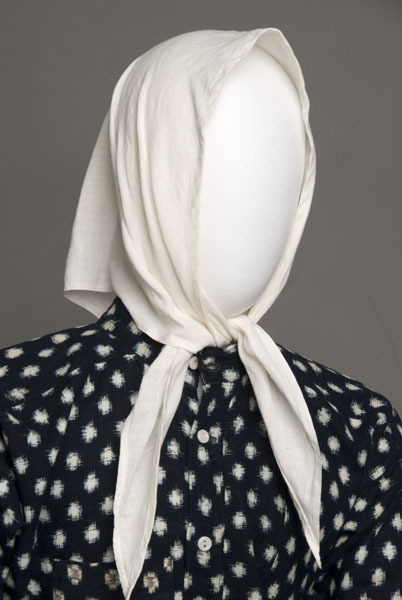 1 kerchief : muslin ; 19 x 43 in. White triangular piece of cloth, hemmed on two sides. To be tied onto brim of hat (2004.1.15). Kechief was worn by women on brim of hat when working in the fields.